You will have no last day Bali “blues” when you book the Day Use Package at the Sheraton Kuta. We all know that feeling when you have to check out of your accommodation on Nusa Lembongan and then have evening flights home. “What to do, where to go?” are usually the standard questions. 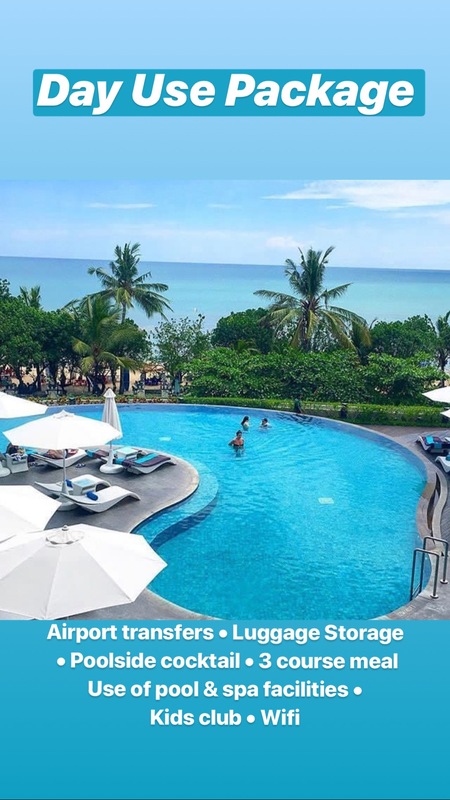 The Lembongan Traveller has partnered with Sheraton Bali Kuta Resort to make sure this problem is solved and your last day in Bali can be relaxing and enjoyed in style. We have two packages on offer, the standard and a premium package which has some significant upgrades and extra benefits. Both ensure once you leave Lembongan & land in Sanur, Rocky Fast Cruises will transfer for you to the Sheraton where your final day in paradise begins. Upon arrival you will be greeted by traditional Balinese dancers and met by the lovely concierge staff who will handle your luggage (always accessible if you need to grab something during the day) before escorting you to the lobby to check in for your Day Use Package. We chose the Premium Package, as a massage is a must on your last day in Bali, plus it also provides two meals and an added beverage allowance … why not, its your last day before reality hits hard!!!! First step was to choose our fragrance, Rose was my choice, the beautiful fragrance lasted well after the massage, constantly reminding of how important it is to stop and take time out. Our massage, in the stunning Shine Spa was nothing less than AMAZING. The pre massage foot wash, set the tone as we were then pampered, pressure spots released, soothed and physically nurtured which in turn let the mind ease. We floated out of massage to the resort’s sunset spot, Bene Rooftop, to enjoy cocktails as mother-nature turned on sunset to remember as we watched locals and holiday makers stroll the beach, catch a wave and savour the golden glow. 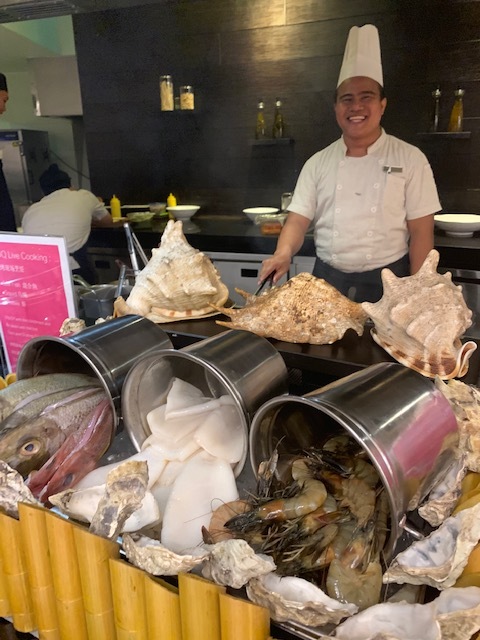 Next stop was Feast Restaurant where we indulged beyond believe on one of the BEST buffets ever, with cuisine from around the world and a dedicated team of staff on the floor ensuring we tasted way more than we should have!! The buffet is extensive, and definitely deserves a good initial scoping and then multiple subsequent visits! We LOVED how they also catered for the little ones with a very cute mini buffet for the kids with fun, creative & healthy inspired options. The neighbouring Beachwalk shopping Mall was the perfect way to walk off some of dinner, its got retail options for everyone including: Zara, Victoria’s Secret, Nautica, Pull & Bear, Timberland, Mango, H&M plus everything in between. 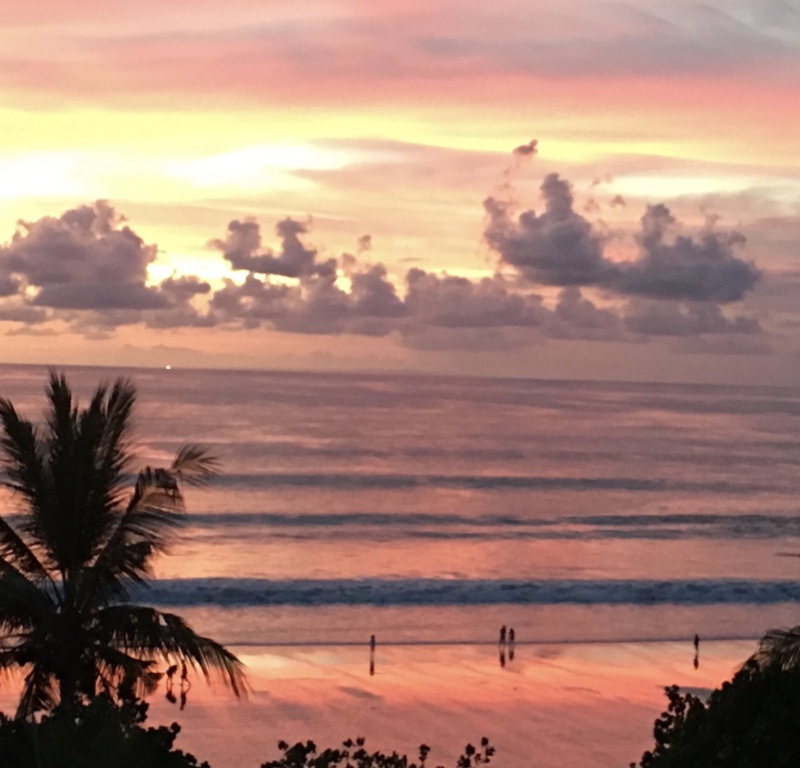 BUT if you are looking for some cheaper delights, PoppiesLane boarders the other two sides of the Sheraton where you will can bargain, buy and bring home all your favourite Bali bits. After the shopping we re-shuffled our bags to make room for our last minute purchase, before the Sheraton transferred us to the Airport. Thanks to the Sheraton our last day in Bali was beautiful, stress free and left us ready to return ASAP! But first back to Australia for a little reality check. Become SPG member at no costs and enjoy 30% off on food and 15% off at Shine Spa.